Under a budget plan unveiled last night by St. Louis Public Schools superintendent Kelvin Adams, historic Sumner High School may become a charter in the 2012 school year. The budget does not lay off any teachers, though some safety officers and other non-certified personnel will lose their jobs. The district is also shifting some nurses and social workers that were hired using federal stimulus dollars to its general operating budget, at a cost of several million dollars. Transportation will take a sharp hit. More schools will share buses, and transportation for field trips and after-school activities will be curtailed. Adams says restoring the $3.4 million cut will be a priority as the district receives additional dollars. Bunche and Stevens middle schools, and Big Picture Academy at Kottmeyer, will close. Bunche students will go to Compton-Drew Investigate Learning Center, though Adams says he will work to keep the language immersion education in place. Stevens students will go to Cole, L'Overture or Yeatman schools, and Big Picture students will go to schools throughout the city. Stevens was closed partially for academic reasons. The Special Administrative Board adopted that policy at its last meeting. Dr. Adams is exploring ways to turn Sumner High School - which he threatened to close last year - into a district-sponsored charter school in the 2012-2013 school year. 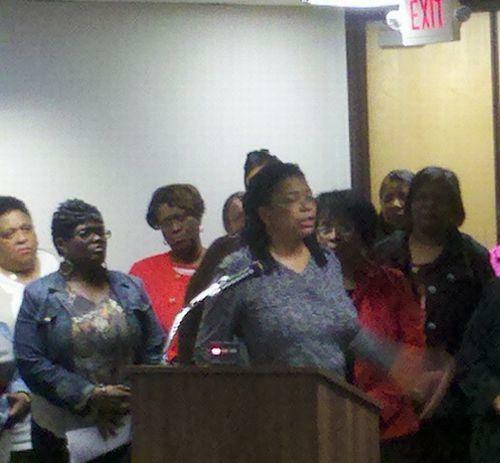 Cole School will get an Afro-centric curriculum. Woerner Elementary and Yeatman Middle will become gender-specific schools. Adams says parent organizations at those schools expressed an interest in having those programs in place. Students and staff would be able to transfer out of those three schools, but not transfer in. 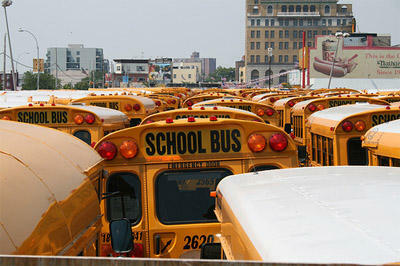 Adams says the district cannot afford to transport students from across the city. The district will open 27 additional early childhood classrooms and expand a teen mother support program to all four high schools. Adams says funding for those programs will come from outside sources, not general revenue. The district will do everything in its power to hang onto students who might not be happy with proposed changes at their school, Adams said. "But parents have choices, and they have to make those choices," he said. "This whole piece is about choices. We want to try and create the best choice for them. But the parent may not feel that it is the best choice and so they'll obviously vote with their feet." The district is projecting a K-12 enrollment of 23,072 next year. The K-12 enrollment in the 2006-2007 school year was 32,135. Enrollment in charter schools has more than doubled in that time frame. The district will take public comment online from April 28 to May 16. On Monday, May 9 there will be a public forum at 6:30 p.m. at Vashon High School. Dr. Adams is hoping to take a final vote at the May 26 board meeting, which will start at 6 p.m.
Gov. Nixon releases $7.5 million for school bus funding in Mo. Governor Jay Nixon has released $7.5 million for public school busing that he had earlier withheld due to Missouri's budget troubles. The amount is just a fraction of the $70 million budgeted for public school transportation, the rest of which remains frozen.